Full text academic encyclopedia articles from subject-based encyclopedias covering climate science, communications, criminology, economics and finance, education, environmental science, global public health, history, international studies, linguistics, literature, planetary science, politics, psychology, social work, and more. Having trouble getting access? 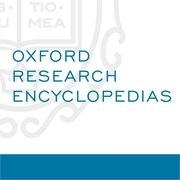 Try the alternative method to access Oxford Research Encyclopedias. SPECIAL NOTE: The alternative method uses a proxy server to access Oxford Research Encyclopedias. Ask your networking staff to allow access to ezproxy.infohio.org server (66.114.0.16 Ports 2048 through 2248, skipping 2049).